You’ve heard the saying, “An ounce of prevention is worth a pound of cure.” That definitely applies to maintenance and tune-up for your air conditioner. Just think about it. We use our air conditioning all summer. The mechanical parts churn out a cool, comfortable environment for you and your family. Then winter sets in. 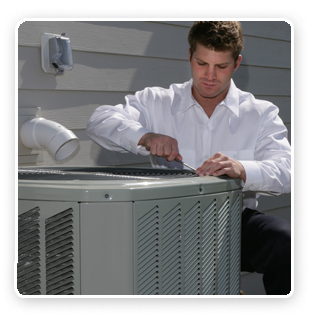 Our air conditioners are not used, but the outside units are exposed to long, harsh winter conditions. Then spring comes around and it’s time to start up the central air for the cooling season again. What can possibly go wrong? Plenty! Connections come loose, refrigerant leaks, dirt gets into the coils and other areas it doesn’t belong, motors and bearings wear…whew! You get the picture – air conditioning maintenance is an ounce of prevention that proactively keeps your central air conditioning running reliably and efficiently. 100% guaranteed or your repair is free. We’re home air conditioning tune-up and maintenance specialists, call 855-297-4331.